After seeing my review for their New England style double IPA Flavorful Five, Roak reached out to me to see if I’d be interested in coming to the taproom to review their newest New England Style IPA Hopgazer. I sat down with Roak’s general manager Allen Hilliker to talk about where we thought the NE IPA style was headed, the differences in NE IPAs out there, some of Roak’s future plans – and most importantly, Hopgazer! 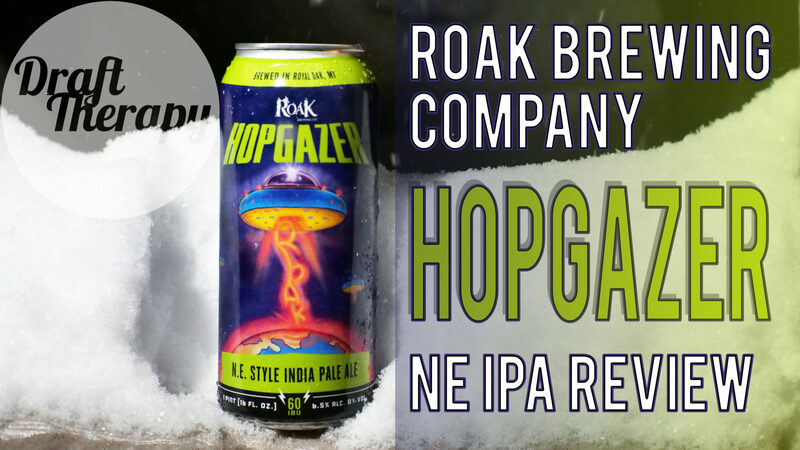 Roak’s Hopgazer was provided free of charge by Roak in exchange for a fair and unbiased review. Previous PostPrevious Founders CBS 2017 Review – The Final of the Barrel Aged Series for 2017 – Was it Worth the Wait? Next PostNext Petoskey Brewing – Cosmati Mosaic Double IPA – A NE DIPA in Disguise?